Offering you a lace/skin combination to give you a hair system high on realism and practicality: a replaceable French lace front for an undectable look and a skin base for a large, easy surface to apply tape or glue to. Offering you a fine balance between the best of skin and lace, the L13 men’s hair system is lightweight and natural looking. 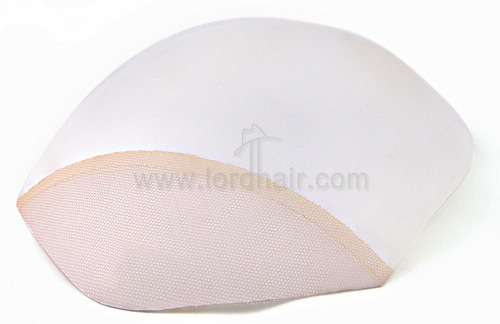 Whilst it may not be fully breathable, the skin base sits comfortably on your head and holes can be punched in it to improve ventilation at your request. The skin base makes for easy taping and cleaning. 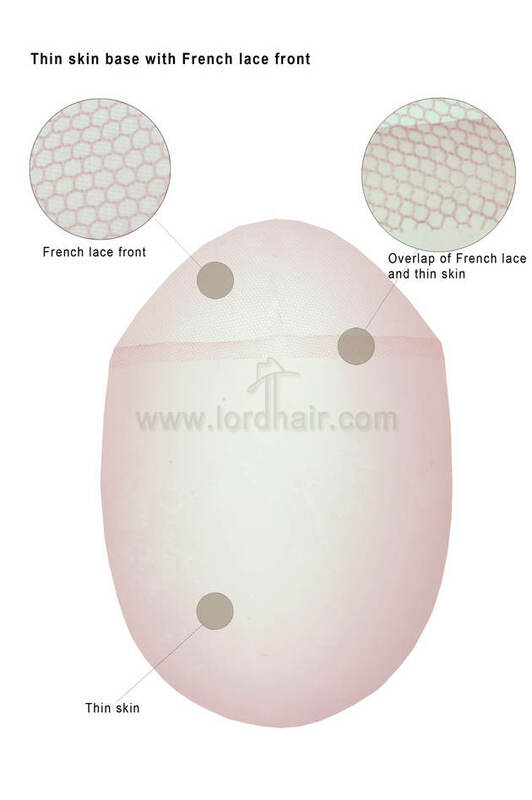 Rest assured that you can confidently expose your front hairline with this hairpiece as the French lace leaves you with a natural front appearance and the knots on the lace front are bleached. In short, your front hairline will be undetectable. 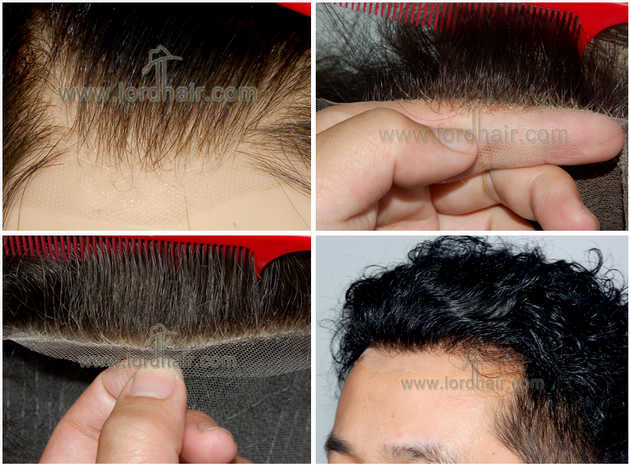 The longevity of these men’s toupees is increased by the reinforced double needle stitches on the connection between the skin and lace. Furthermore, the lace front, the most fragile part of the system, is replaceable. Suitable for light to medium heavy hair densities. Base Construction: Thin trasparent skin base with French lace front, reinforced double needle stitches on the overlap connections for additional toughness. 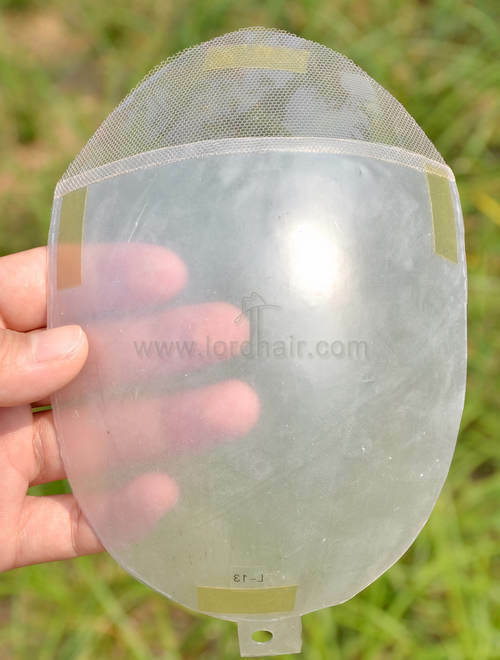 Replaceable lace front with invisible pleat. Bleach knots on lace front section offer a more natural appearance. Appearance: Undetectable front hairline, natural front appearance. Applicable User: Wearer who wants a skin base but natural hairline appearance.